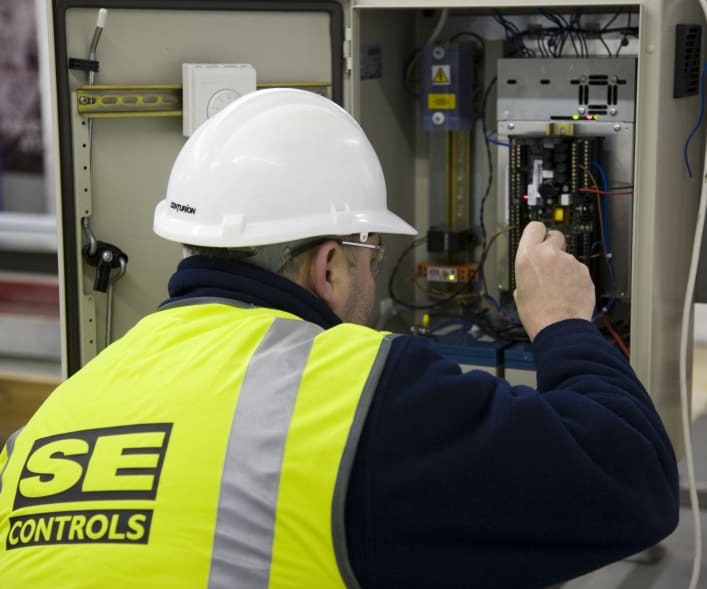 SE Controls install, commission and maintain an array of sites all over the world. Maintenance is not only mandatory by law on life safety systems, it reduces the likelihood of component failure and prolongs the life of the system, it also ensures that any defects are found before a critical situation arises. Engineer’s reports are provided and issued to the client upon completion of each visit. These can also be issued to site personnel if requested. There are no initial contract ‘set-up’ charges, nor a premium for holding a contract. Customers pay per visit only, ensuring best pricing for our customers. Repair works or replacement items will always be quoted in advance; we do not carry out unauthorised repairs which may incur additional charges. Reports and recommendations are automatically issued to the customer when necessary. If you are responsible for fire safety within your premises, choose SE Controls to ensure your maintenance is conducted to the latest standards by competent personnel. We understand the importance of conforming to regulatory legislation and provide detailed service specifications, ensuring you have the confidence and security that your maintenance is in safe hands.